PMR radio has been around for years now and there has been many radio’s that have come and gone over this time, The Retevis RT45 radios are a very modern radio packed with features and for a great price! My son Finley & I have been playing with PMR radios for a couple of years (trying to start him young!) and prior to using the Retevis radios we used the old but popular Binatone radios. 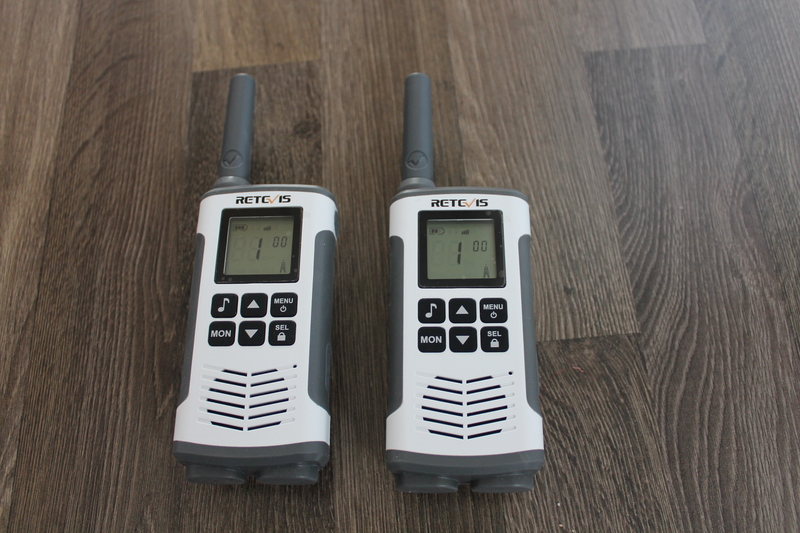 These have served us well over the last couple of years but they used a lot of battery power and as you could not charge them in the radio we needed something else, this is where the Retevis RT45 radio comes in to its own!. These radios come in pairs and are really modern looking, they are a very nice bright white colour and I really like the design! They have a huge screen and a beautiful rubberised feel to them. The screen is also backlit that can been seen well in bright sunlight, you can see the screen whether the backlight is on or not, another great feature! Also features a removable belt clip and battery’s although you can charge these whilst they’re in the radios. The RT45 is a very well built radio and whilst Finley and I have been playing with them they have been dropped numerous times and they’re are still here to tell the tale. Like I said earlier the Retevis RT45 radios are packed with features including CCTSS & DCS tones, this is especially useful at large events where there is a lot of PMR traffic, you are then able to select one of the 121 tones within each channel allowing you to have a private connection to the other Retevis RT45’s in your group. Another fantastic feature is the flashlight on the top, this is extremely good, if you are fishing or camping this would become very useful indeed! The radio also features a keypad lock and 10 Call tones, one of my favourite features of this radio is the monitor function! This allows this radio set to be used as baby monitors for instance, and if you are not able to keep pressing the PTT button you can use the VOX function allowing hands free operation, the sensitivity can also be adjusted to get the level just right. 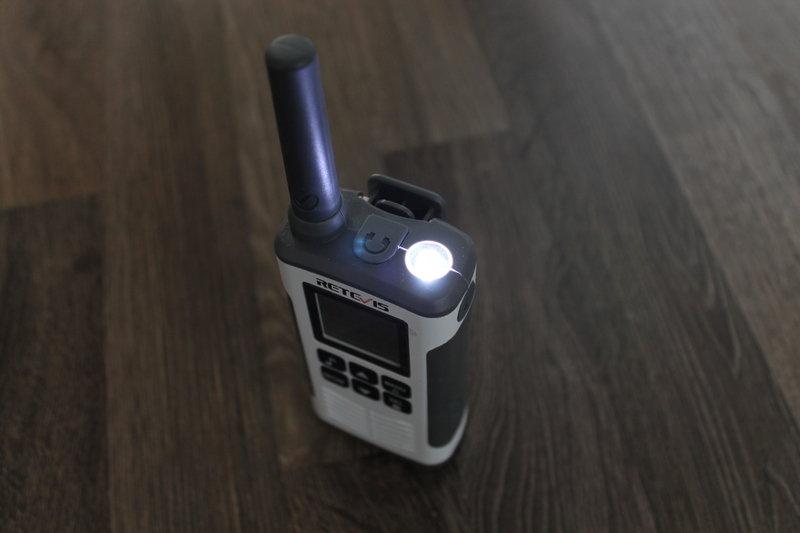 These Retevis radios also come with 6 rechargeable batteries and they supply you with a charge cable that allows both radios to be charged from a single USB port! Fantastic! 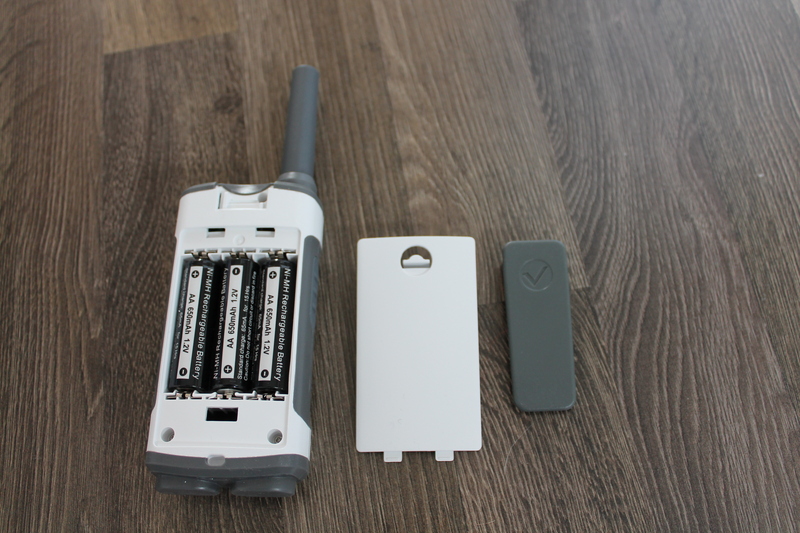 This allows you to charge the radios using a battery power bank for example. The speaker on the front is very loud so you can easily hear the other user clearly in busy environments. The manual is very well written and I found it very easy to follow, you can find exactly what you need really quickly and after 5 minutes you will understand all of its features! Here is a list of the features from the Retevis Website. Would I recommend these radios? Yes absolutely! 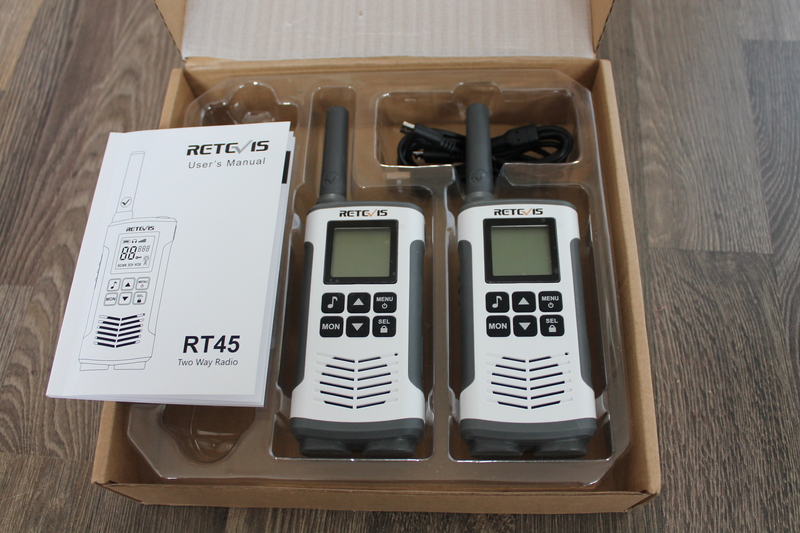 The Retevis RT45’s are very well made, come from a brand you can trust, they have made some fantastic DMR radios like for example the Ailunce HD1. The radios are packed with features and are easy to use! Finley and I needed an up to date PMR radio set that we could use and these fit the bill very nicely indeed, and for the price of just $35 they are an absolute bargain! Do not hesitate! You can purchase the radio by clicking the Retevis logo.